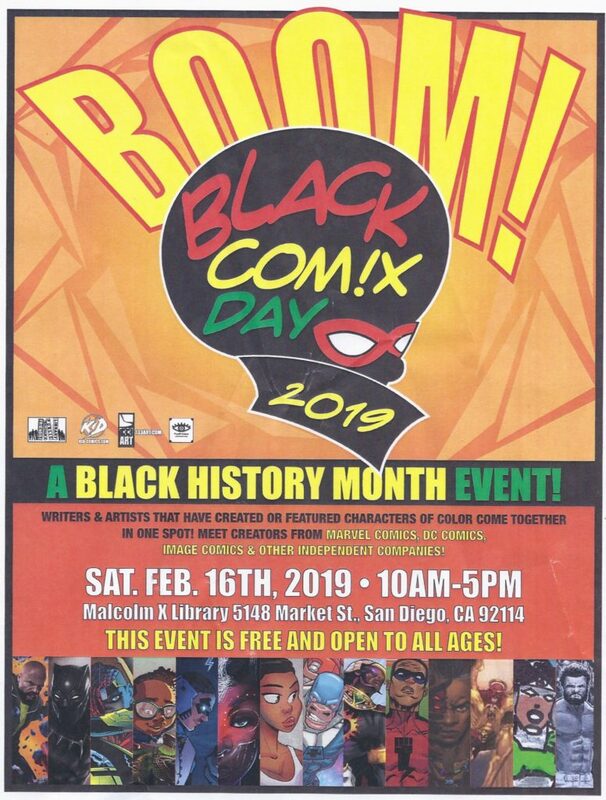 BLACK COMIX DAY: HEROES RISE 2 – The 2nd Annual Black Comix Day is a celebration of professional African-American comic book writers and artists. These creators have been published by major publishers such as Marvel and DC Comics, Image Comics and a host of Independent publishers such as San Diego’s KID Comics. Two Panels will be featured as well: 1pm-2pm Empowered: How Indie Comic Creators Build Universes and Communities. 2:10pm-3:10pm The Renaissance: From Harlem to Saturday Mornings. A discussion on the past & future of Black Representation in Animation.